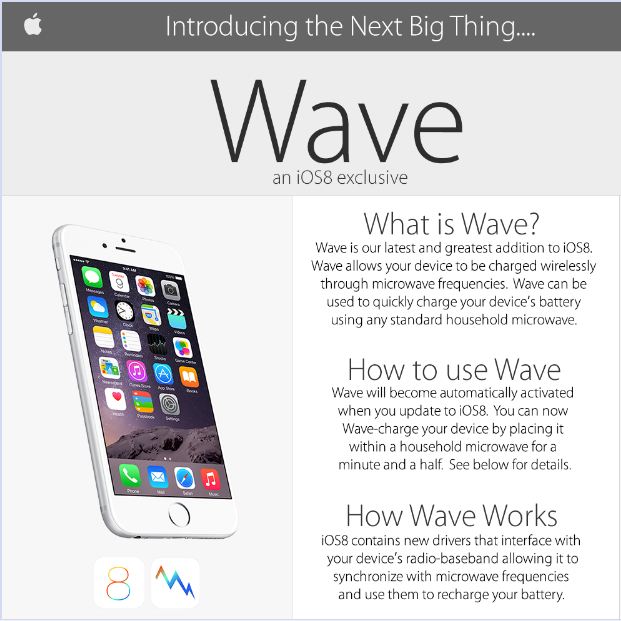 …About wireless charging a few articles back? NOTE: The following image is a prank, that was constructed to make you destroy your own iPhone. 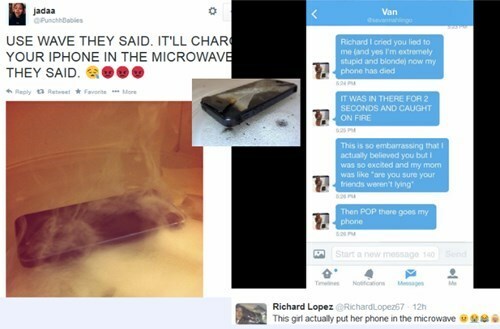 Do NOT put your iPhone in the Microwave. So, this is showing up today. People who bought the new iPhones with inductive chargers are being, I kid you not, convinced to put their new iPhone 6’s and 6+’s in their microwaves and turn the oven on to charge their phones. Does this charge the iPhone? This entry was posted in Random thoughts, Technology, Thoughts, Writing and tagged charging, evolution, iPhone, microwave, prank, wireless. Bookmark the permalink.